Making your own way in the world is difficult and there are plenty of things you need to know as an adult in the real world that are just not covered in school. Schools have to focus on teaching key academic subjects and, with the greatest will in the world, no collection of subjects covers every one of the life skills we face on a day-to-day basis. Whether it’s organising our finances to ensure the bills are paid, fixing a problem on our cars or odd jobs around the house, a great number of things crop up in adult life that are a puzzle to many people. In some respect, you could make a case for saying that some of the ‘life skills’ that were necessary for our grandparents’ generation are dying out—either because of the advances in technology we have enjoyed in recent decades or because things we would have spent time fixing are now cheap and easy to simply replace. Yet while technology and cost might have made some life skills less essential, there are always going to be moments when your wallet or your smartphone can’t help. 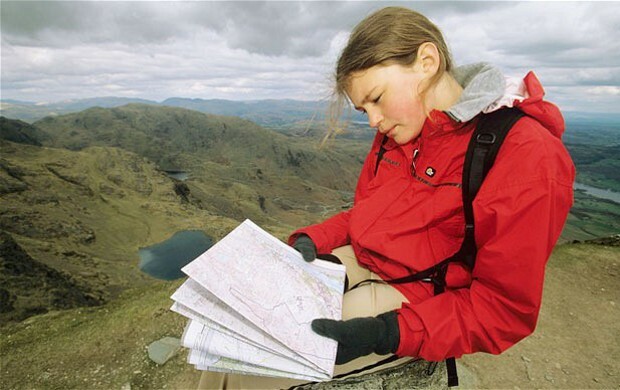 A study run by map company Ordnance Survey found that 94% of the people asked felt that the next generation would lose life skills that came naturally to their grandparents, with map reading being the skill that they were most likely to lose. There are plenty of examples of how we are losing life skills; as this article reports, more than 90% of 18-25 year olds cannot wire a plug, and one fifth cannot hang a picture. But who is responsible for teaching us these skills? You might argue that parents should pass on these pearls of wisdom, but is this generation of adults well-equipped enough to do this? Those who work in secondary school jobs are in the perfect position to help us with learning these basic life skills. During our formative years our brains are still developing and we can learn things far more easily, as the study from the University of Oxford detailed in this article proves. Teachers offer a voice of wisdom—a respected adult at the front of the class. They are not only in the perfect position to impart knowledge to young people, but they also have the skills to be able to explain things in a concise and easy-to-follow way. This is a better forum than a ‘lecture’ from mum and dad. The curriculum would, of course, have to change—but maybe not too much. These practical, everyday activities might well have natural homes within maths, geography, science and PSHE lessons—offering pupils a chance to see a tangible reason for their studies too. This would have the added benefit of engaging pupils more and, hopefully, making it easier to motivate them, especially those who aren’t naturally academic. If not lessons, then why not in after school clubs? These already foster a love of sport in many young people, but many students would also relish the chance to learn how to look after their first car when they leave school. Do you think you have a good knowledge of life skills and feel you have the ability to pass them down to the next generation? If so, why not look into secondary school jobs here and take the first steps to starting a career in secondary teaching.